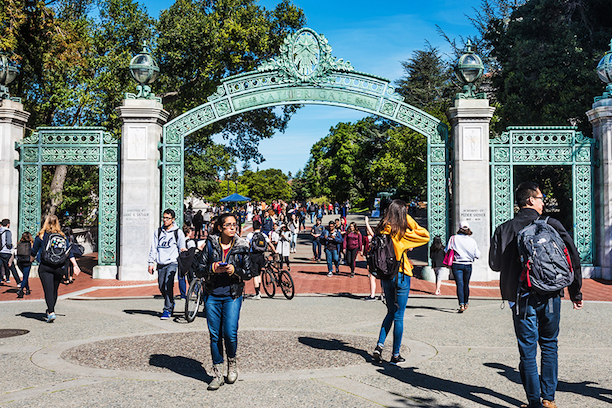 The University of California at Berkeley (most commonly referred to as UC Berkeley, and also known as Cal) is one of the most frequently searched universities in the United States, according to a recent internet keyword search of American colleges. The University of California at Berkeley, founded in 1868, is a public research university located in the San Francisco Bay Area. The school was one of the 14 founding members of the Association of American Universities. Cal currently maintains an enrollment of 30,000 to 40,000 students each semester. Berkeley offers a broad range of undergraduate majors, as well as many graduate degrees and quite a few PhD programs. The freshman acceptance rate at Berkeley is a rather tough 16%. For transfer students, the acceptance rate is higher. The average student faculty ratio is 18 to 1. The median starting salary of a Berkeley graduate is about $62,000 a year. 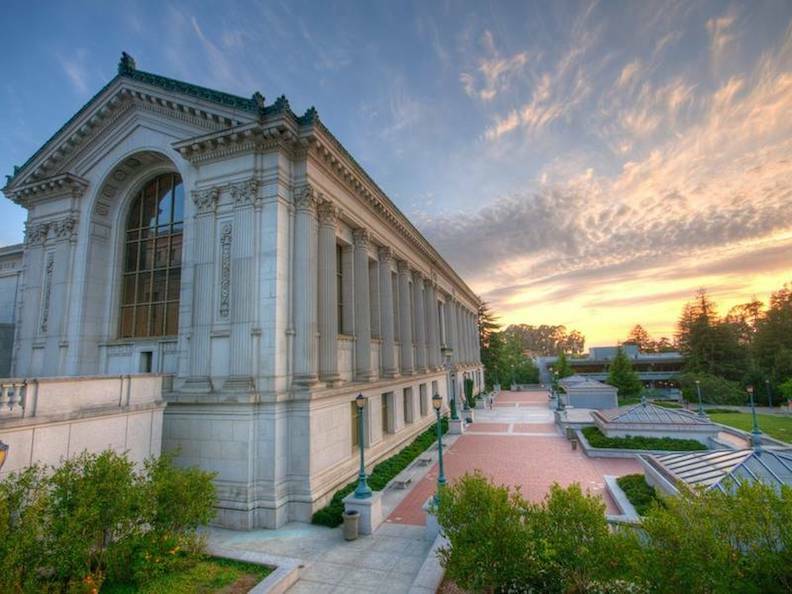 College reports rank UC Berkeley among the world's top 10 universities. According to the Academic Ranking of World Universities, Cal ranks 4th internationally. The school is widely considered to be the #1 public university in the United States. Some of Berkeley's undergrad instructors are Nobel laureates. In fact, many important inventions and discoveries are attributed to Cal researchers. Among the most famous examples are the polygraph test, the wetsuit, the Flu vaccine, and 16 chemical elements. More recent innovations include anti-malaria medication, "dark" energy, the microscopic motor, and the 3D transistor. Noteworthy Cal graduates include top-tier government professionals and military personnel, as well as innovative scientists, successful CEOs, star athletes, Academy Award winning actors, Pulitzer Prize winning authors, and more than 100 Nobel laureates, among others. 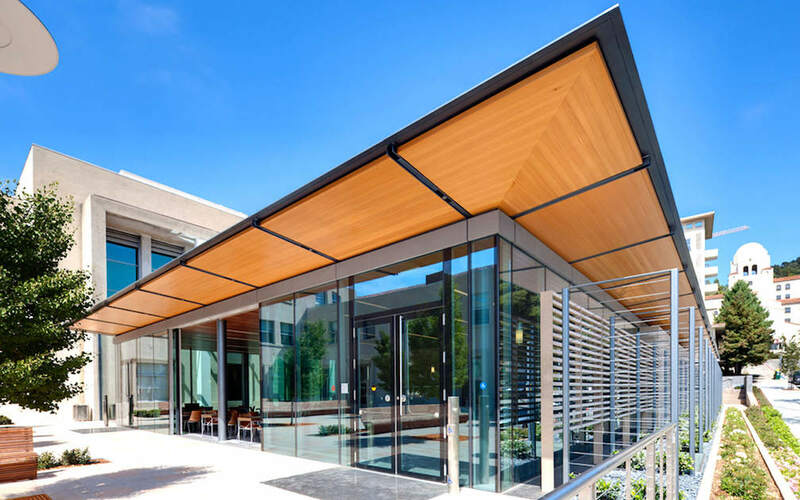 UC Berkeley is accredited by the WASC Senior College and University Commission (WSCUC), which is the regional accrediting agency of colleges in California, Hawaii, and the Pacific region. Here are the answers to some frequently asked questions about UC Berkeley. 1. Where is UC Berkeley? The main campus entrance is located at the tip of Telegraph Avenue in Berkeley, California. 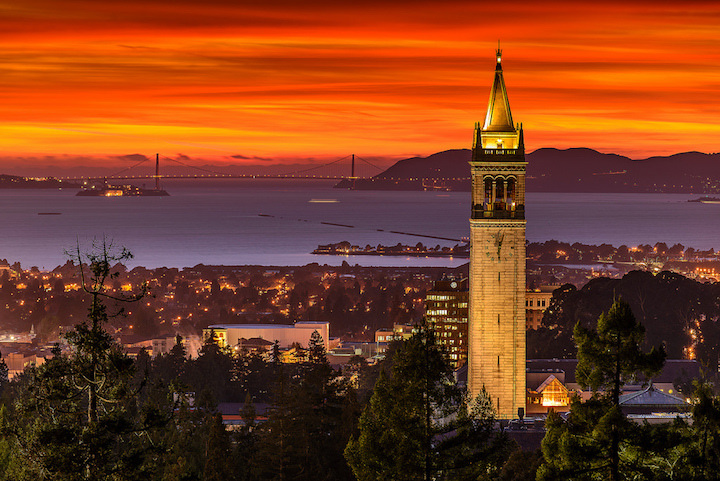 Above: Sather Tower, also known as Campanile, makes a bold mark on the Berkeley skyline. 2. What is the organizational structure of UC Berkeley? There are nine UC colleges that offer undergraduate programs. 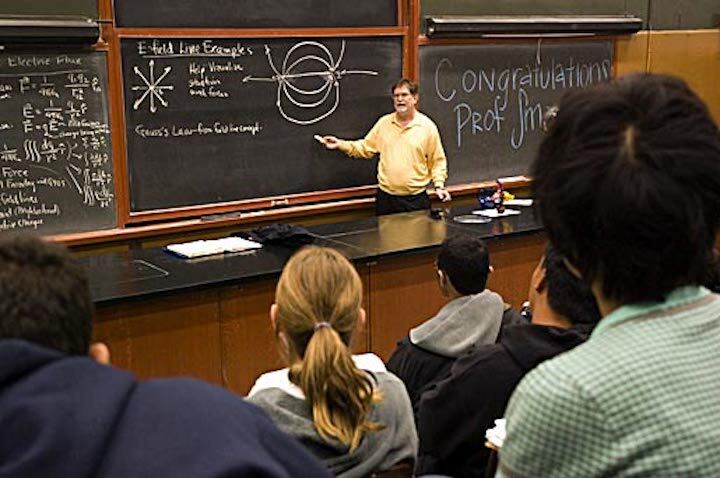 Above: A class at Berkeley taught by Nobel prize winning physicist George Smoot. 3. What undergraduate programs are offered at UC Berkeley? Cal features a broad range of undergraduate course offerings. 4. What graduate programs are offered at UC Berkeley? 5. What programs are available at the UC Berkeley School of Law? The Bar Pass rate for graduates of Berkeley Law is about 89%. 6. How much does it cost to attend UC Berkeley? $23,000 per year for enrollments from out of state. $17,000 per year for enrollments from out of state. The above costs include tuition and mandatory fees only. Mandatory fees include a health insurance fee, a student services fee, a document management fee, and others. Professional graduate school tuition varies by school and by degree earned. Additional fees may also apply, such as application fees, registration fees, parking fees, technology fees, and others. Financial aid is available to many incoming and continuing students. Undergraduates applying for financial aid must complete and submit the FAFSA form under the deadline. Aid may come in the form of grants, loans, scholarships, work study programs, or private donations. Most undergraduate students at Berkeley do not pay the full cost of tuition. More than half of them receive some form of financial aid. 7. What is the UC Berkeley campus like? 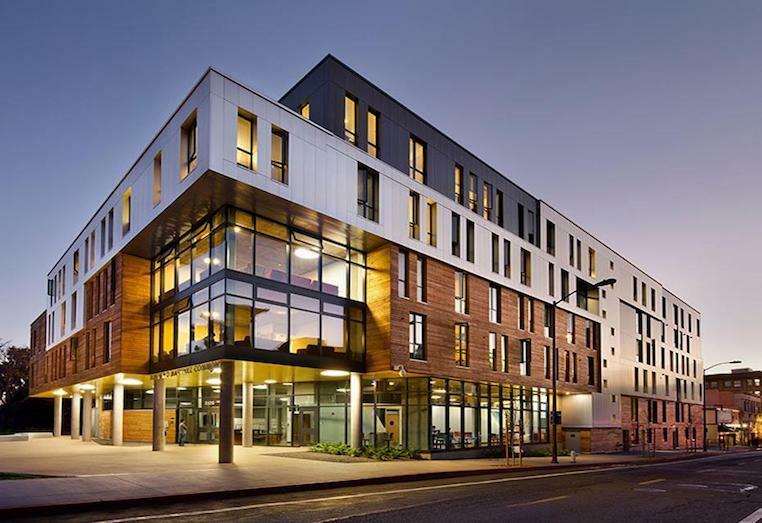 The main campus spans well over 1,200 acres in the artsy urban setting of downtown Berkeley. The campus is home to a number of administrative and academic buildings, as well as 32 libraries, and more than a dozen housing complexes. The older buildings on campus are constructed in the Beaux-Arts Classical style. More recent architectural developments lend a modern touch. Campus landmarks and attractions include the Sather Gate, the Sather Tower, the Doe Memorial Library, and a serene eucalyptus forest (the world's tallest!) with Strawberry Creek gurgling through it. 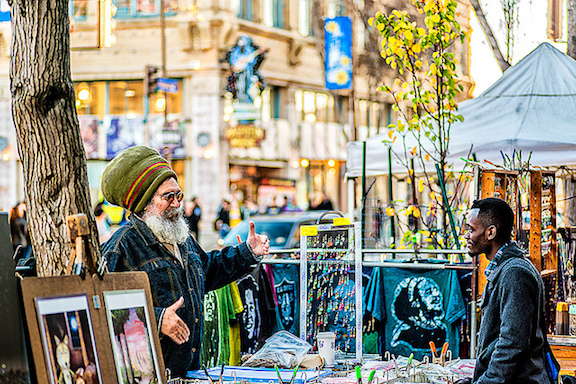 Surrounding the campus is the charming town of Berkeley, featuring street artists, restaurants, and beautiful Bay Area architecture. Public transportation is abundant. San Francisco is 15 minutes away by train. The school colors are blue and gold. The varsity athletes at Cal are called the Golden Bears. They play for the NCAA Division 1 - Pac-12 Conference. 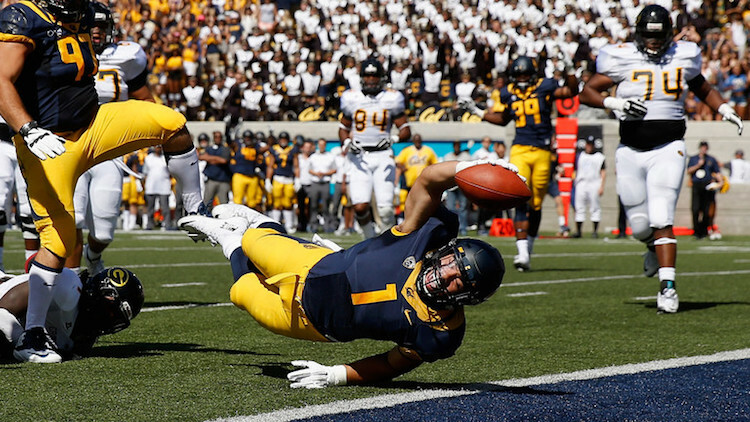 The Cal football team's main rival is Stanford. Also available on campus are more than a few club and intramural sports, such as some of the ones listed above, as well as aerobics, badminton, dance, and others. Aside form athletics, Berkeley also features hundreds of on-campus student organizations, spanning a wide range of interests. Student interest groups include political organizations, a campus magazine, a campus radio station, a gardening club, a cooking club, a karate club, a theater ensemble, a film society, and even a hang gliding club, to name a few. Above: A Golden Bear scoring a touchdown! 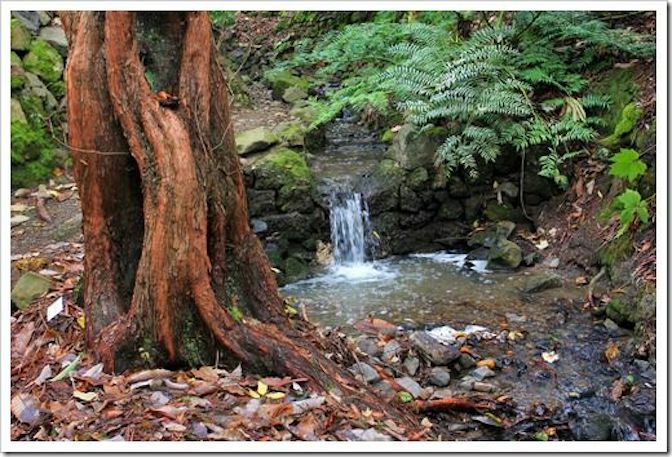 Above: A redwood tree overlooks a waterfall at Strawberry Creek. 8. What are the distance learning options at UC Berkeley? UC Berkeley offers many distance learning opportunities at all levels of study. Click here to learn about More Than 50 Top Ranked Online Colleges. 9. What is the contact information for UC Berkeley? To reach the main campus, or for general information, call 510-642-6000. For the office of undergraduate admissions at Berkeley, call 510-642-3175. To contact the admissions office at the Berkeley School of Law, call 510-642-2274.